We make games! We can help you make yours too! We offer programming support at all stages of your project development cycle; planning, production, bug fixing and optimisation. We can provide expert advice, insights and recommendations on all aspects of digital entertainment development. We can deliver the highest quality models and textures for your project on any platform, from mobile to next-gen console. As well as creating our own games, we can help you create new interactive experiences or port existing projects to new platforms. Find out about some of our recent work! We are a very small but highly experienced team of industry veterans! 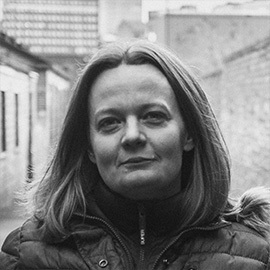 Our Technical Director, Lizi has over 14 years experience working on commercial software, in that time contributing to areas as diverse as: Gameplay, Networking, Physics, Graphics and Presentation. She has helped to create multiple titles such as Burnout Revenge, Moto GP, Pure, Buzz! and mobile titles such as Quiz Climber Rivals, Pitfall and Call of Duty: Strike Team. Lizi has a keen interest in encouraging new talent and diversity. She is a lead evaluator for Creative Skillset, visiting Universities around the country to accredit and feedback on courses. She has also helped organise Aardvark Swift’s Search for a Star competition since its inception, discovering and evangelising new talent. 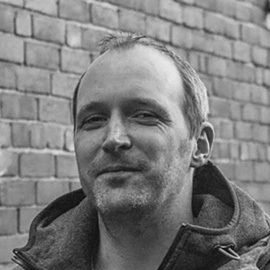 Our Creative Director, Ross has over 17 years industry experience, producing assets for multiple commercial titles. Prior to starting Furious Bee he worked as a freelance artist, creating many high-quality vehicles for Boss Alien and their top mobile hits CSR Racing and CSR Classics, with other clients including Hutch Games, NaturalMotion and Axis Animation. Before his freelance career, Ross worked for some of the biggest UK games studios in both artist and designer roles on a variety of projects, including many years at Disney's Black Rock Studio as a vehicle artist on the Split/Second and MotoGP titles. If you want to know more about us or you'd like our input on your project, just get in touch, we'd love to hear from you!